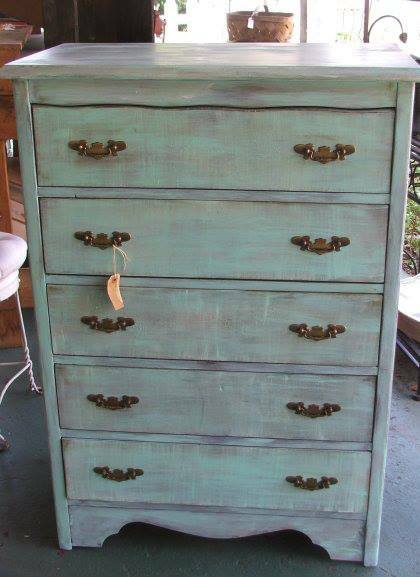 Chester Dwars Shabby Coastal Look 5 Drawer Dresser. All wood construction, dovetailed drawers. It’s not an old-old piece, but is well constructed.